Signed into law in 1998, the “Emergency Services Volunteer Length of Service Award Program, defines a LOSAP as “a system established to provide tax-deferred income benefits to active volunteer members of an emergency service organization.” An emergency service Organization generally includes all forms of volunteer fire and first aid organizations. The tax-deferred income benefits for emergency services volunteers come from contributions made solely by the governing body of the municipality or fire district also known as a Plan Sponsor, on behalf of those volunteers who meet the criteria of a plan created by that governing body. Now for the hard question. Should the LOSAP Plan Sponsor choose a Defined Benefit Plan or Defined Contribution Plan? The real issue is sustainability. What is a Defined Benefit LOSAP Plan (DB)? It is what it sounds like – it defines the Benefit at the end of a working period. 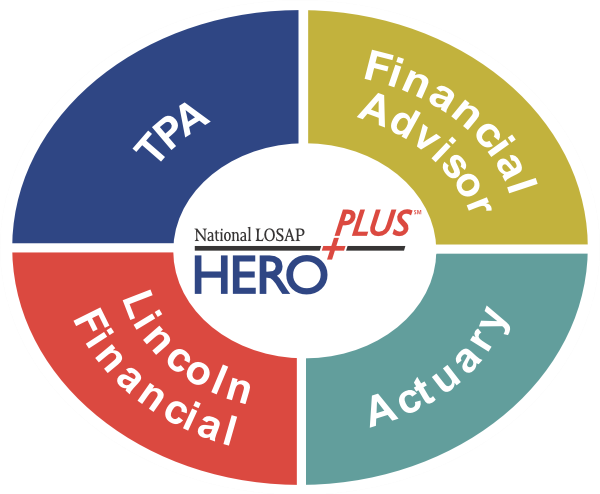 The risk of the Benefit is the responsibility of the Plan Sponsor - The annual contribution to the LOSAP Plan is typically based on multiple factors including the promised benefit amount, how long the benefit will last, when the benefit will begin, years of bona-fide service, interest rates and investment performance, annual funding requirements and sometimes more. All of this needs to be annually reviewed and determined by an Actuary. This type of program has been favored by participants in the past due to the “specified monthly benefit” concept. However over recent years it has become increasingly difficult for the Plan sponsors to maintain these plans because of rising costs and longevity of the participants. What is a Defined Contribution LOSAP Plan (DC)? Again, it is what it sounds like. With this plan there is an annual LOSAP contribution to the Participant account. The participant is responsible for the investment choice and eventual outcome – this is where this risk has been shifted. The challenge facing Fire Departments and companies is to obtain a balance between offering a retirement benefit and the ability to keep the funding available to sustain the retirement program in the long run. Each year the Commissioner or LOSAP trustees receives a report on their LOSAP DB plans. The report entails a percentage-funding requirement and a projected shortfall and funding obligation to make the plan financially sound. The Commissioners have a Fiduciary and moral obligation to address the issue for all members of the plan. The main question is how to meet the obligation without taking too much investment risk (i.e., how the funds are invested) while maintaining the promised benefit. That said, there are Fire Companies and Districts that are adequately funded and have the assets to meet the obligations. The trend has been to move existing plans to the Defined Contribution model – which by all means is not a complete solution and has its own set risks. What the DB plan does do is control the annual funding requirement issue as there is an annual limit that is allowed for annual per participant funding ($6,000.00), but now the potential investment return has been placed on the shoulders of the participants. This can be mitigated in most cases with simplified investment models based on the participant’s appetite for risk. But the risk is clearly on the participant. In the end, decisions need to be made for the good of the whole and sustainability of the organization.